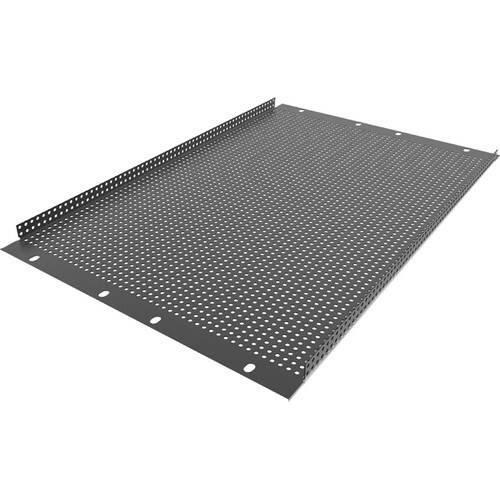 Constructed out of 22-gauge cold-rolled steel, the Atlas Sound PPR7 is a 7 RU vented panel that facilitates natural air circulation, thus encouraging the dissipation of equipment-generated heat in convention, 19" rackmount cabinets. The unit is formed on the top and bottom to allow for recessed installation, and is also fashioned on all sides to present a flush appearance. Panel space height of 12.3"